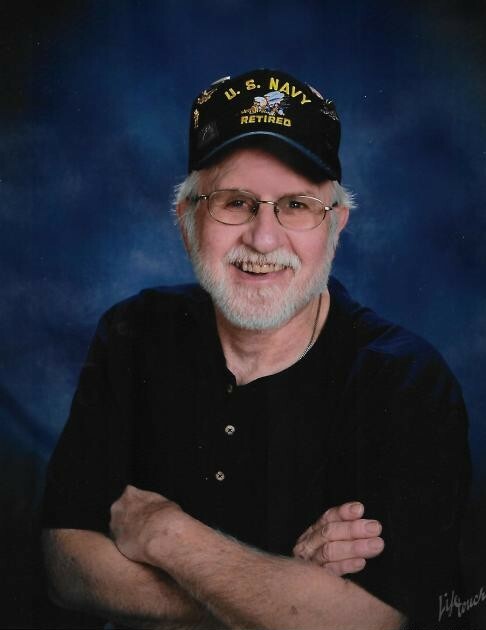 Steven “Steve” A. Skipchak, of Waupaca, age 72, passed away on Monday, February 4, 2019. He was born in Milwaukee on December 9, 1946 to the late Arthur and Leona (Pickart) Skipchak. His love of country was shown by serving in the Navy for four years during Vietnam, aboard various ships: U.S.S. Oriskany, U.S.S. Forrestal and the U.S.S. Hancock. He continued service in the reserves for the next 30 years with the Seabees; after which continued friendships to this day with many of whom he served with. He was a member of St. Maximilian Kolbe Catholic Church. Steve was a baker for many years at the Wisconsin Veterans Home in King. He enjoyed fishing, camping, cutting wood and spending his nickels at the casino. He also enjoyed hunting with special friends, Jeff, Bobby, Tommy and Wayne. His love of nature led Steve and Ann to their summer home – camping in Eagle River – where they met many wonderful friends. In his last years, these friends helped him out with chores to make their stay easier (camping angels!). When we get up to Heaven, we will find him chopping wood and making a campfire with a drink in his hand. He will be sadly missed by his wife: Ann; son: Jeffrey (Amy) Levy; sisters and brother: Rose Mary Wichman, John (Cindy) Skipchak, Linda (friend, Duke) Kubczak, special mother-in-law: Nancy Chavez, many nieces, nephews, other relatives and friends. In addition to his parents he was preceded in death by a brother, Michael and two brothers-in-law, Jeff and Dennis. The Funeral Mass will be on Monday, February 11, 2019 at 1 p.m. at St. Maximilian Kolbe Catholic Church. The visitation will be on Monday at the church from 11 a.m. until the time of Mass. Burial will be in the Central Wisconsin Veterans Memorial Cemetery in King.